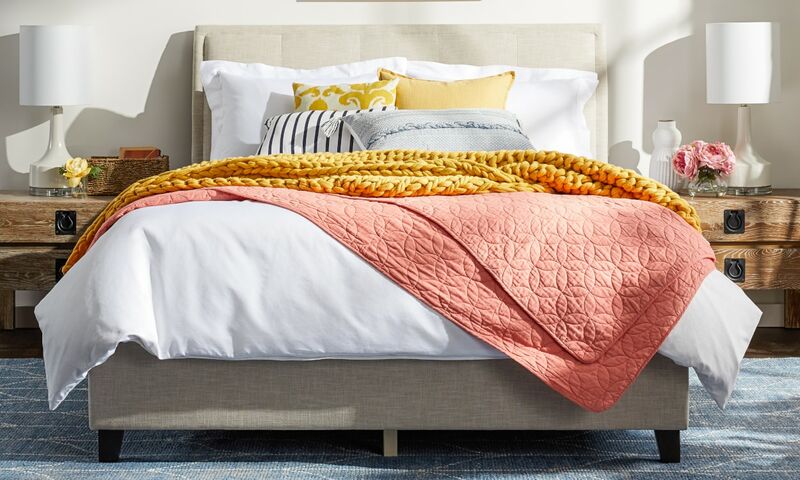 Best Bedding Ideas for Each Bedroom in Your Home | Overstock.com might not flatter other bed types as much. Use this guide to get some great bedding ideas for every bedroom in your home. There’s nothing like crawling into bed after a busy day of work, family, and errands. 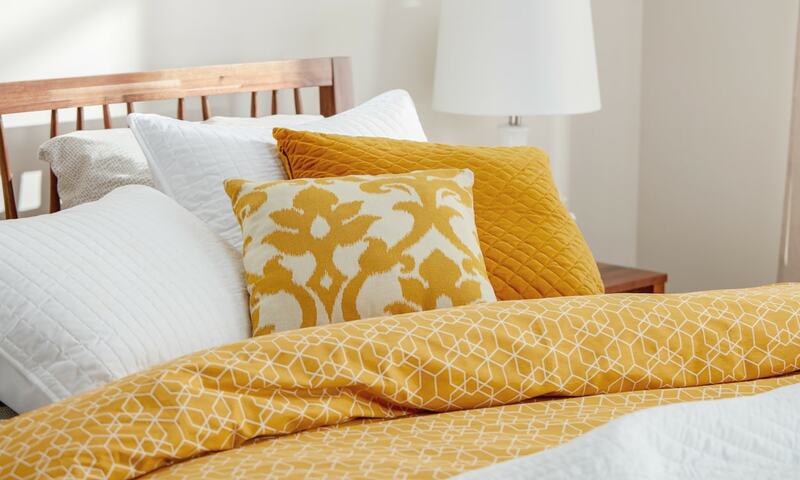 Make relaxing more rewarding and indulge a little with new bedding for your master bedroom. A high-quality genuine down comforter will surround you with fluffy warmth and last longer than a cheap cotton-fill imitation. Add dimension to your bed arrangement with a pile of pillows for reading in bed, or throw in a cotton blanket for warm naps on top of the covers. Using a variety of pillows, like Euro square pillows, rectangular bed pillows, and smaller throw pillows, will take your bedding style from predictable to perfect. Luxury doesn’t have to be loud either. Neutral colors provide an understated elegance that won’t clash with future bedroom redesigns. Your kids may be growing up fast, but the transition to mature bedding doesn’t have to be boring. The best teen bedding ideas reflect your teen’s unique personality. 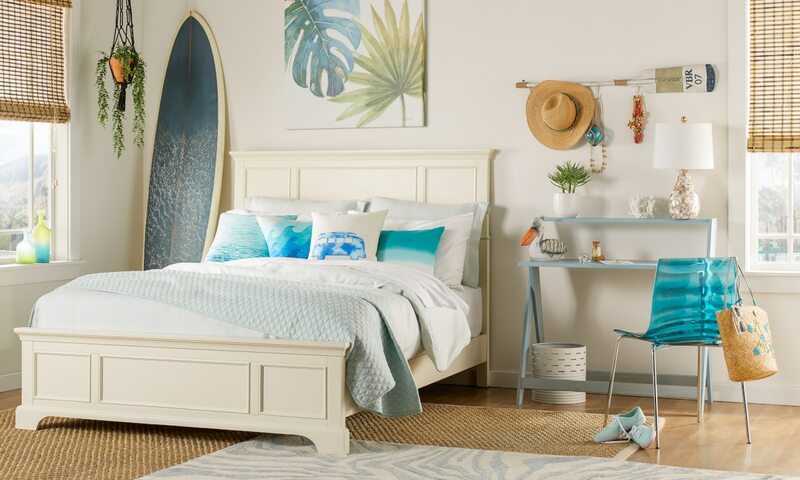 For her, consider chic boho or glam bedding with vibrant patterns and colors that carry a youthful energy. For him, solid-colored bedding or options with simple stripes are safe bets. A sports-themed sheet set and comforter may be good replacements for his faded comic-book theme. Bed-in-a-bag sets come with everything they’ll need in an all-in-one package. These essentials are typically easy to wash, which is convenient for teens who are beginning to do their own laundry. If your teen is getting ready to start college life, our FAQs About College Dorm Bedding will tell you what bedding they’ll need on campus. Make her room her favorite in the house with comfortable and cheery girls’ bedding. Tomboys and girly girls alike will appreciate plush bedding that’s as cute as it is comfortable. Girls’ and other kids’ bedding sets can feature anything from classic characters to fairy tale creatures or even funky geometric shapes. Layer her bed with plenty of cute throw pillows and stuffed animals to keep her comfortable. Extra fuzzy blankets and throws are great for hanging out above the covers or lounging around the house. Learn more about How to Find Cute Girls’ Bedding to get the perfect bedding set for her. 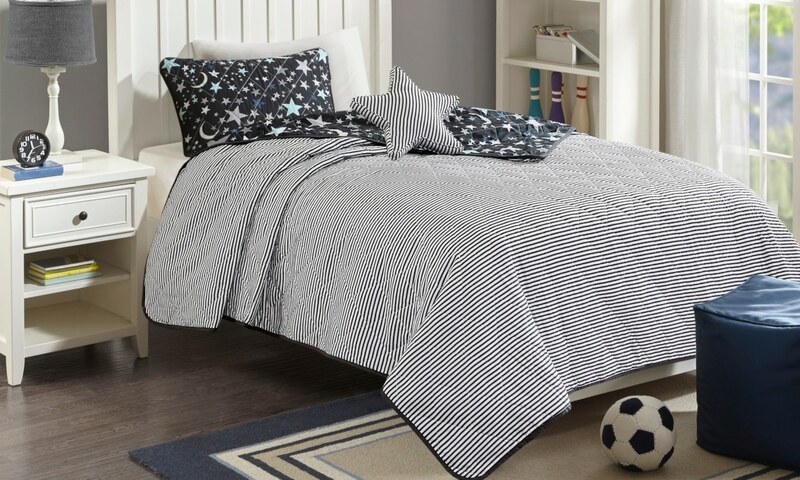 The best bedding sets for boys are durable and easy to clean. Kids’ bedding sets are often made of low-maintenance materials like polyester or microfiber. They’re also affordable and come in a range of color and pattern choices. Mix striped sheets with a solid-colored comforter or find a graphic pattern that he loves like trains or dinosaurs. Blue, orange, green, and grey are the most popular bedding colors for boys, but don’t feel limited by those options. Layer his bed with a few pillows and his favorite stuffed animals to make sure it’s cozy and inviting. When picking out bedding for your guest room, take notes from the pros in the hotel industry. Hotel-quality bedding comes packaged in sets or sold alone, but it’s reliably comfy. If your guest mattress is older, adding a memory foam mattress topper is an affordable way to make sure your guests sleep well. Check out our guide on How to Mimic Hotel Bedding for tips on setting up a five-star guest room without overspending. To reflect some seasonal style, use breezy colors like eggshell or sage during summer stays. Festive patterns and darker shades are more fitting for holiday visits. Is your current guest room not much more than a pullout sofa? You can still ensure your guests have a comfortable stay with the Best Bedding for Sofa Beds. Everyone in your home has different sleeping preferences and styles. That’s why it’s a good idea to have a range of bedding sets and essentials to get everyone through the night. Not sure what you’d need for a full bedding refresh? 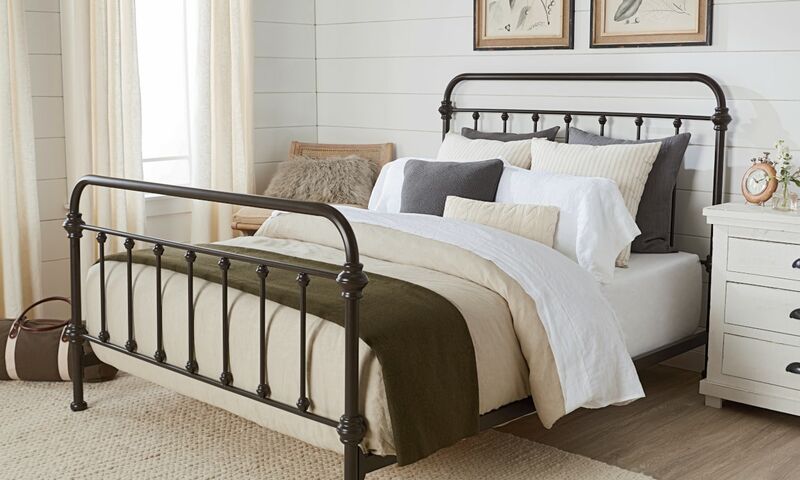 Get back to basics with our Bedding Essentials Guide.